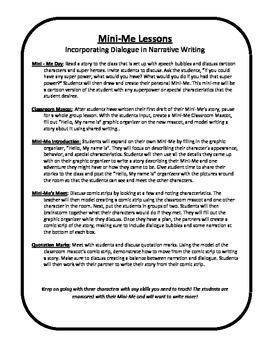 In these lessons, students practice incorporating dialogue in their narrative writing while becoming cartoonists! 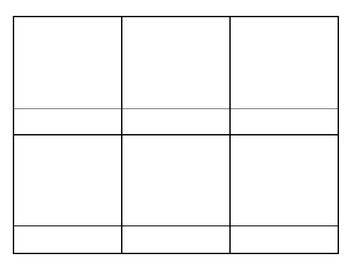 The students will write two stories (one individual and one with a partner). 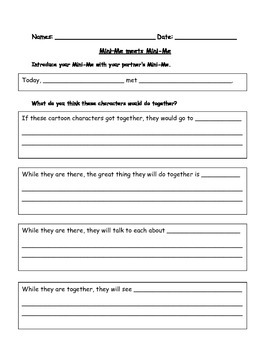 The writing is centered around each student's personal cartoon character - their Mini-Me! 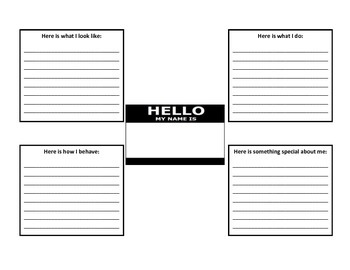 The graphic organizers for each writing are included.